Now "Still Alice" and "Fifty Shades of Grey" can be rented from iTunes Store. It costs you little to watch the whole movie. So wonderful. iTunes Movie Rentals get more and more popular for users. It’s much cheaper to rent movies on iTunes than purchase the movies. So more and more people prefer to rent the movie from iTunes Store for one-time watch. But for the iTunes Rentals, there are some limitations to users. After users rent movies from iTunes Store, there is a month for users to watch. If you start playing them, you can stop or finish watching them in 24 hours. And you can only play them on one device. All the limitations are boring, why not to delete the limitations and remove the DRM protection, so as to play the iTunes Rentals without time limitations and keep them longer as you like. 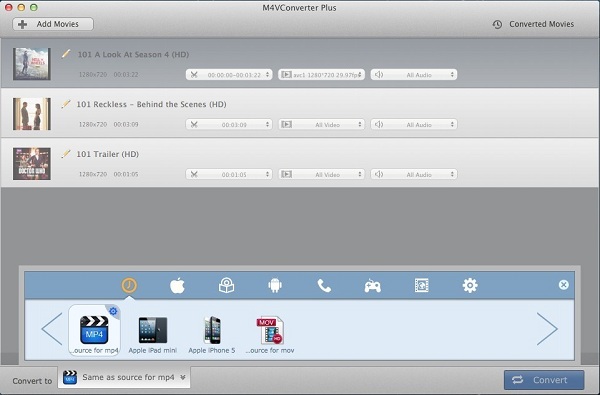 M4V Converter Plus is a good tool to help you deal with the problem. 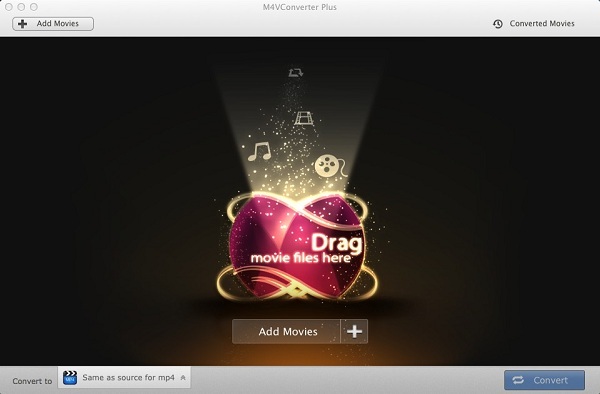 M4V Converter Plus is powerful, which can convert any iTunes purchased movies, TV shows and music videos and iTunes movie rentals to unprotected video format like MP4, AVI, FLV, MOV and so on. M4V Converter Plus is a professional DRM Removal to remove any DRM from the protected video files. M4V Converter Plus is quite easy to use and fast to finish the M4V conversion. During the conversion, you can choose to keep the subtitle or CC or not. Step 1. Download M4V Converter Plus installation file according to your computer system. The following are tips for Mac users. Step 2. Install and launch it. Now click Add Movies button, you will see the adding pop-up window. Choose the rented movies you want to convert from the Rental option. Step 3. Choose one ouput format or output preset as you need. If you have no other special need, you can choose the Same as source for MP4 or Same as source for MOV as the output format, which supports you 30X faster conversion speed. Step 4. 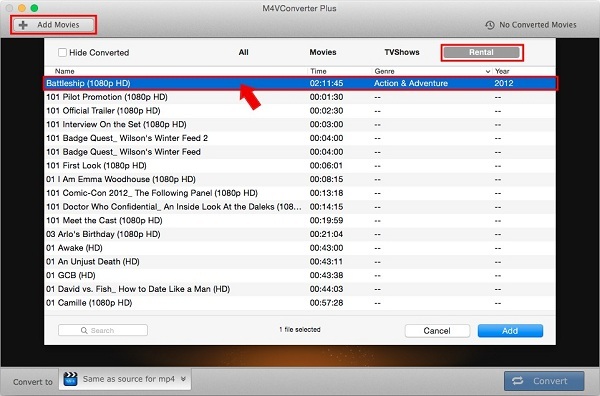 Click Convert button to start converting iTunes Rentals. Tips: please make sure you have started playing the rentals, and after you open the M4V Converter Plus, iTunes will be relauched as well. To finish the conversion well, during the conversion, please do nothing with the iTunes.